Where to eat in Bucharest? 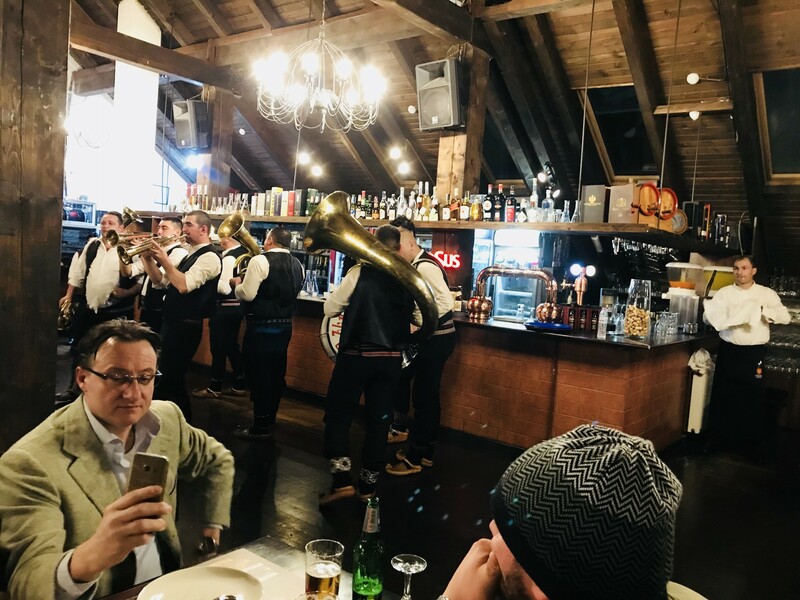 1) The best restaurant in Bucharest is certainly the famous "Caru' cu bere". It is one of the oldest inns of the city, and it is considered a historical and architectural monument. 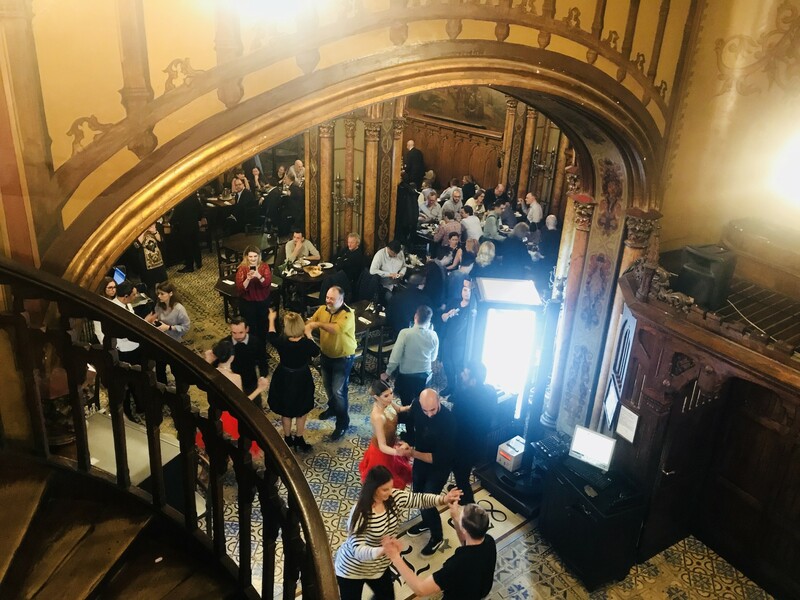 With a history of almos two hundred years, "Caru' cu bere" is a symbol of the Romanian capital and you have to go to eat there!!! I advise you to book your table in advance, otherwise you wuld wait about ten minutes. 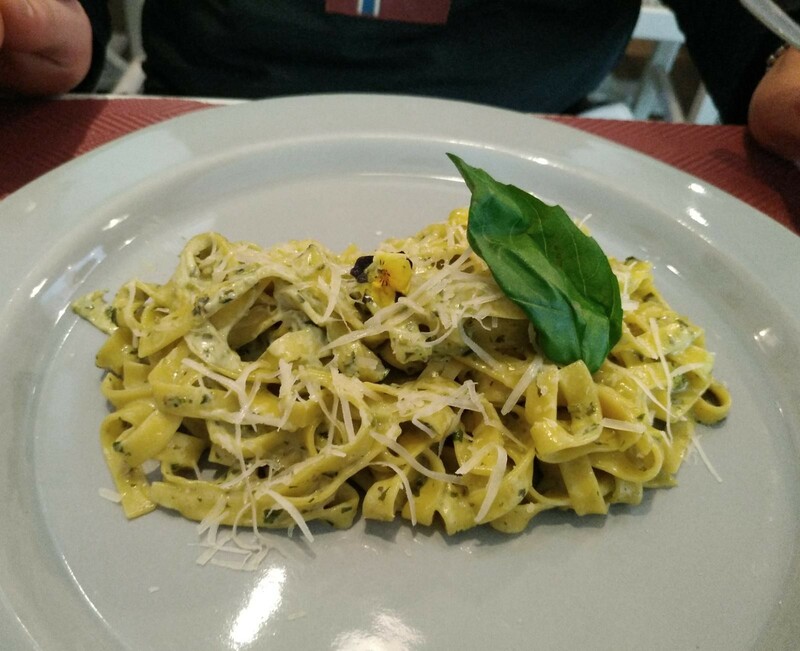 You can book a table on this website: https://www.carucubere.ro/. Instead, the telephone number of the restaurant is this: (0040) 726 282 373. It is located in: Strada Stavropoleos, at the number 5. You will find it very easily!!! The interior of the restaurant is very beautiful!!! It reminds a lot of a French restaurant: it is mostly made of decorated wood and stained glass. The restaurant is very big!! !It is spread over three floors: the ground floor, the basement, and a first floor with terrace on the ground floor. I think that there are more than four hundred seats, but the restaurant is always full!!! The waiters wear traditional Romanian clothes, and almost all of them can speak English. The service is fast enough. Caru’ cu bere house beer. Prices are very good!!! The quality/price ratio is really great!!! All dishes appear well and are very tasty!!! 2) Another of the oldest restaurants in Bucharest, where I highly recommend going to eat is: "Hanul lui Manuc". Actually, it is the oldest restaurant of the city!!! The building is quite large. It has a quadrangular plan and is distributed on two floors. In addition to the restaurant, it also includes a hotel. It is located in the historic center, in the famous district called "Lipscani", near the ancient "Curtea Veche", the court commissioned by Count Vlad III of Wallachia, in the fifteenth century. You will find it very easily!!! It is located, exatcly, in Strada Franceza, at the number 62. Hanul lui Manuc, despite having undergone several restoration works, has remained almost unchanged and retains most of its original features. 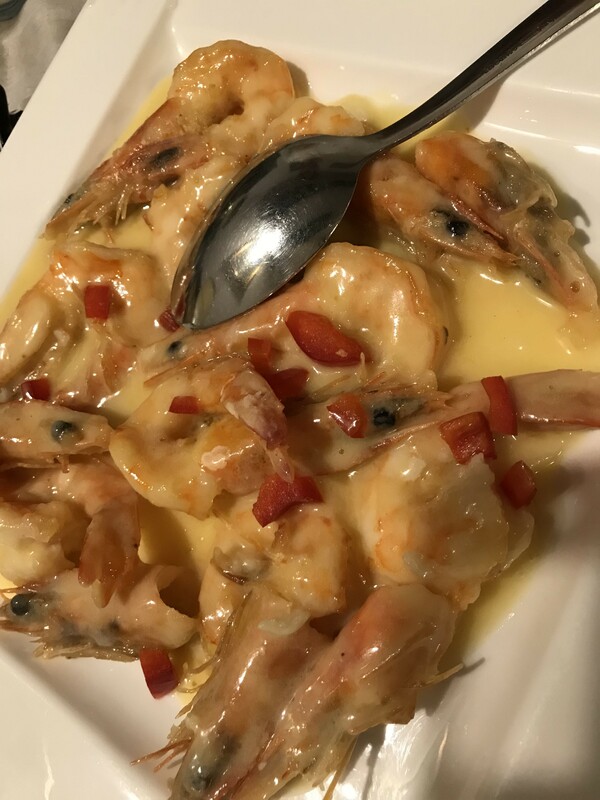 Prices are slightly higher than average, but the dishes are very good and they are very well presented. The menu is written in Romanian and in English. Everything is good! So...the choice is up to you! 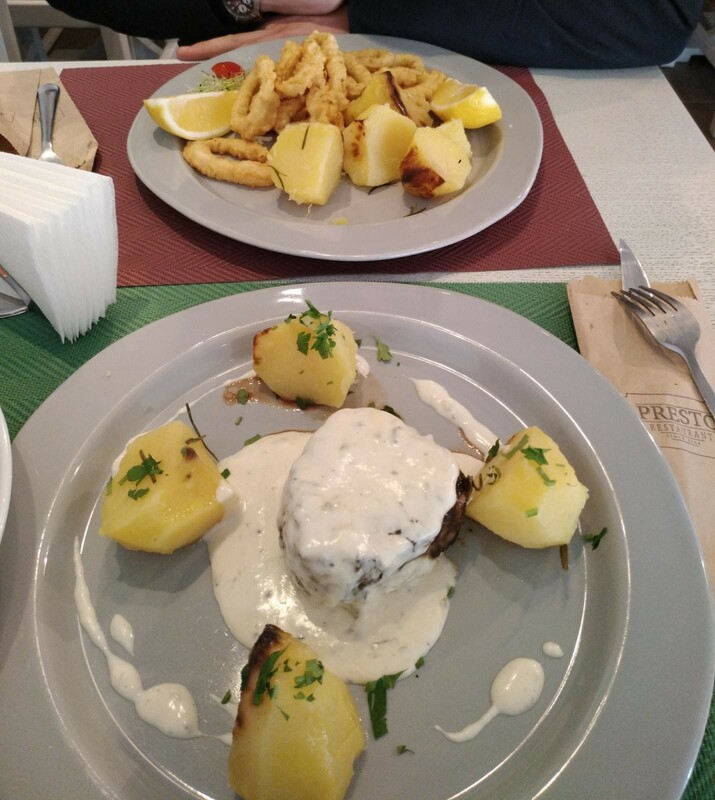 3) Another restaurant in which I recommend going to eat in Bucharest is: "Taverna Sarbului". 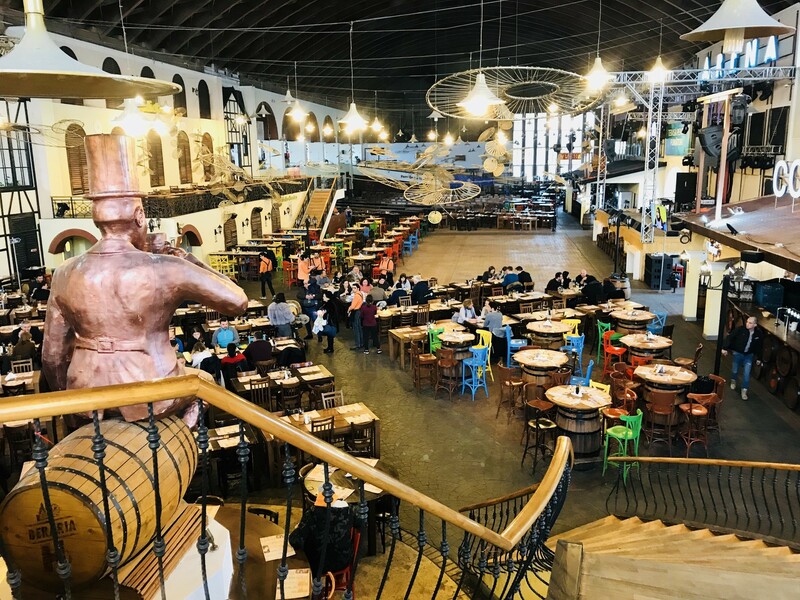 Taverna Sarbului is a very big restaurant, located slightly outside the historic city center, near the Parc Herastrau, exactly, in Strada Tipografilor, at the number 31. The waiters are extremely friendly... and they even offered us a glass of typical brandy before the meal. 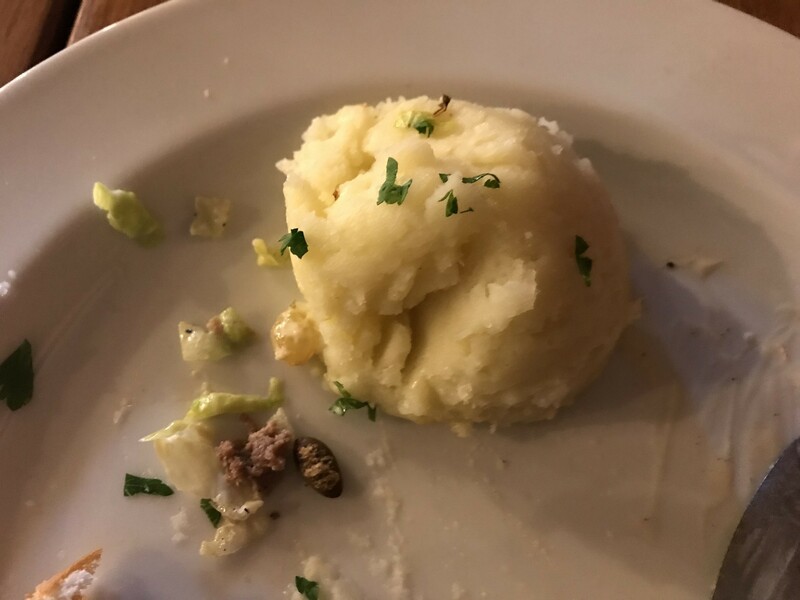 The dishes are well presented and are really good. Prices are good too. 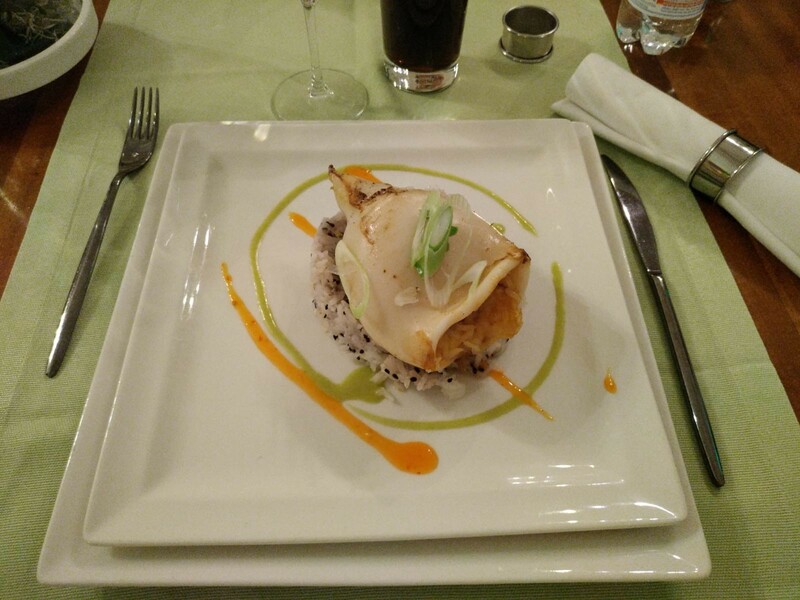 Taverna Sarbului is also present in Timisoara, Sinaia, Brasov, and Drobeta. You really should try it!!! 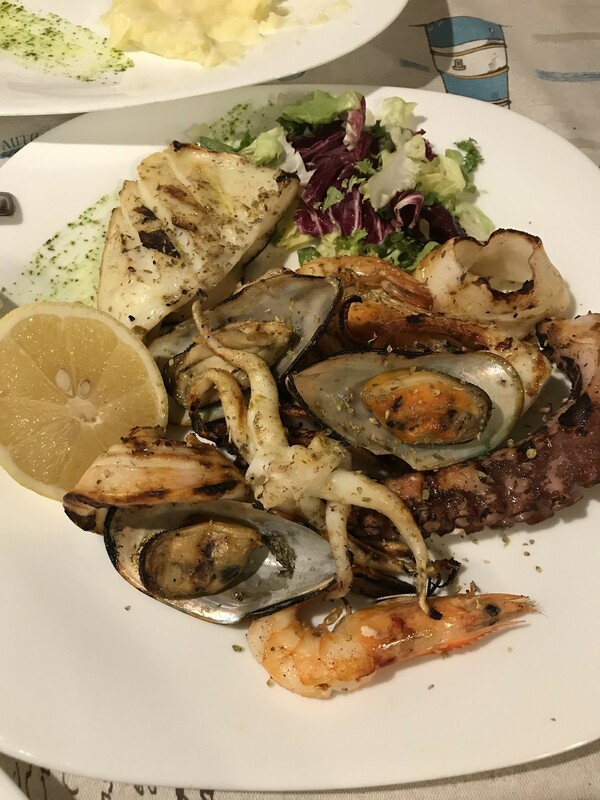 4) In fourth place in my ranking there is: "Taverna La Zavat". 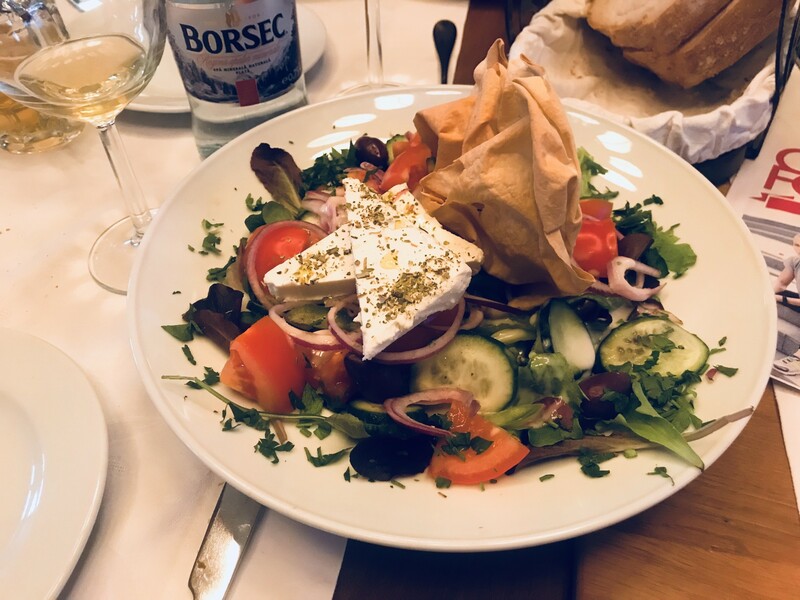 It is a small Greek restaurant, located slightly outside the historic city center. It is located in Strada Popa Nan, at the number 16. If I was making a ranking of the best restaurants in Greece, probably, Taverna La Zavat would have been in the first place ... but since this is a ranking on the best restaurants in Bucharest, in my opinion, at the first places must necessarily be restaurants where you can taste the typical Romanian cuisine. However, here I ate the best fish of my life !!! ...just because you will eat there necessarily, because you will go (for sure!!!) at least once to the Therme of Bucharest...and you will need to eat there!!! However, the food is very good and moderately priced!!! The waiters can speak English and the service is very fast!!! 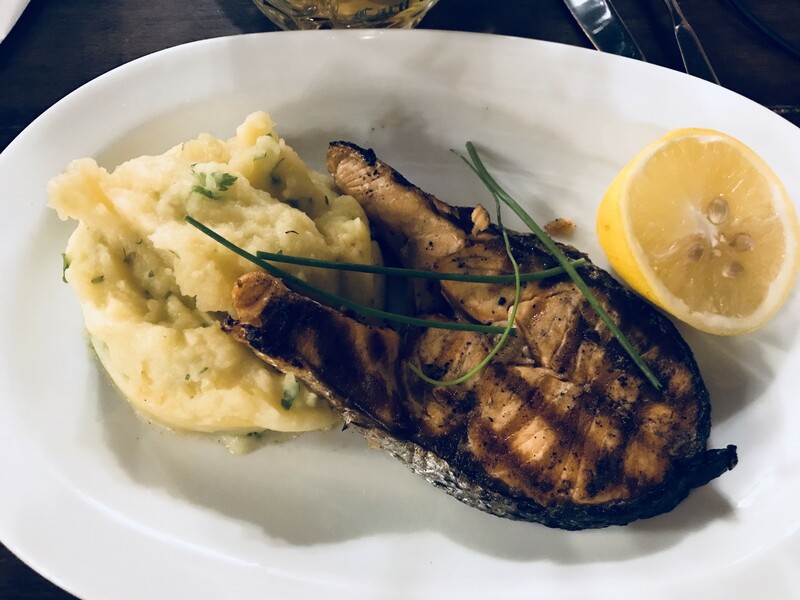 6) Another place where I recommend eating in Bucharest, maybe during a walk to the Parc Herastrau and the Village Museum, is: "Beraria H". It is located, exactly, in Kiseleff, at the number 32. It is a very big restaurant, which extends over two levels. 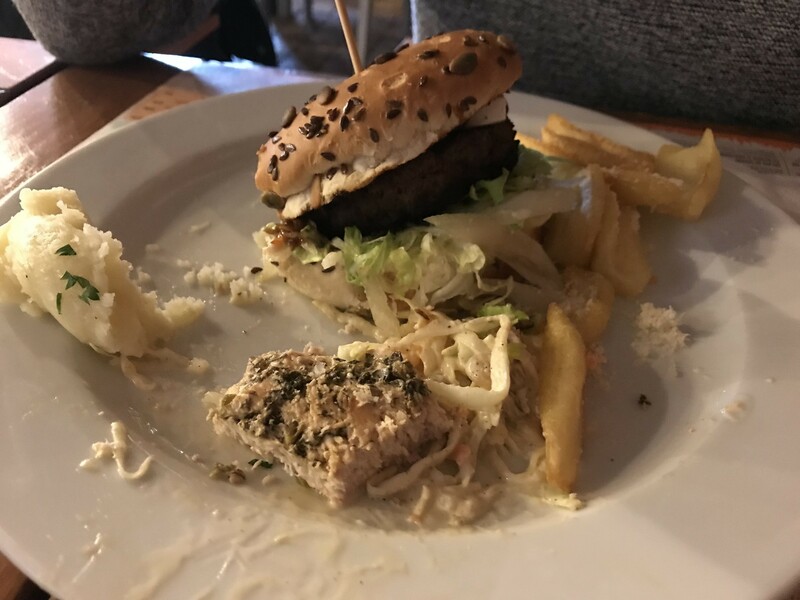 You can taste typical Romanian cuisine, or eat excellent hamburgers. 7) Instead, if you are near the Parc Carol I, then I suggest you go to eat at the restaurant: "Presto". You can taste Romanian cuisine, or also Italian cuisine. The menu is very varied. The restaurant is quite small, but the service is fast. The dishes are good. Prices are good too. 8) Another restaurant in which I recommend going to eat in Bucharest is: "Lacrimi şi Sfinţi". 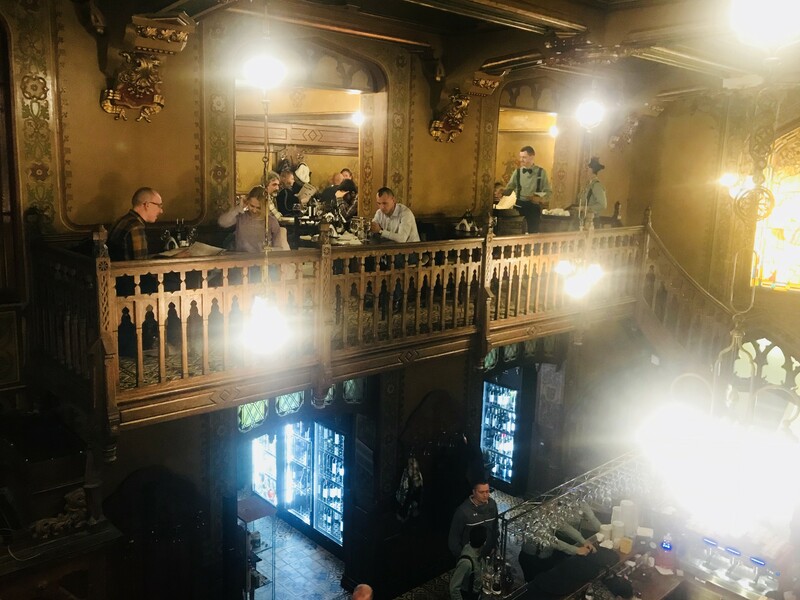 It is located in the historic center of the Romanian capital (Lipscani), and more precisely, in Street Sepcari, at number 16. At the beginning of the last century, in the building where is now located the restaurant, there was a textile shop of clothing belonging to the Zambacca family. Within these walls, a lot of meetings of important artists took place. In 2012, the house was refurbished and the entire infrastructure was renovated and converted into a restaurant. 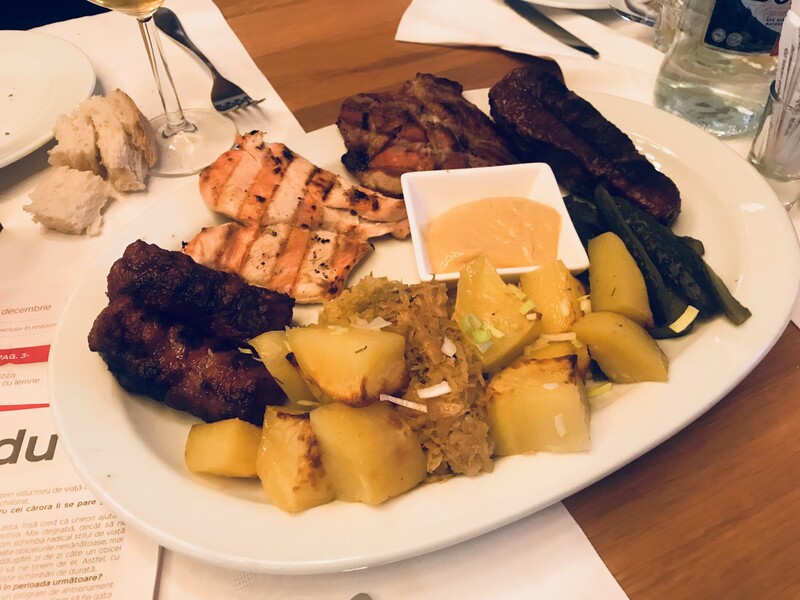 This is a restaurant specialized in typical Romanian cuisine, which offers excellent dishes from a modern/contemporary kitchen. The ancient Romanian recipes, in fact, have been reinterpreted and reorganized. 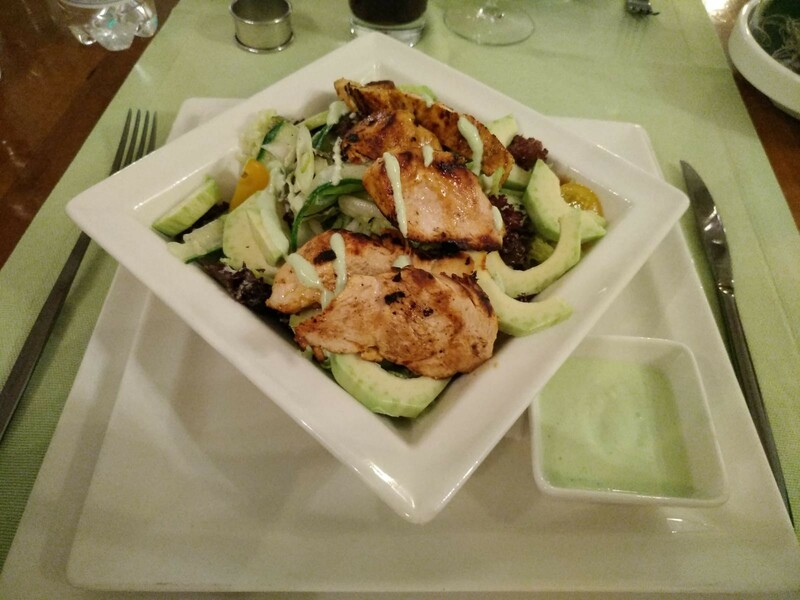 Each dish is prepared exclusively with local organic ingredients. The restaurant is entirely made of wood. Each piece of wood has at least two decades of life. Moreover, inside the restaurant, you will find a lot of decorations made with the buildings "Lego" (over 16,000 pieces), which, apparently, come from Copenhagen. 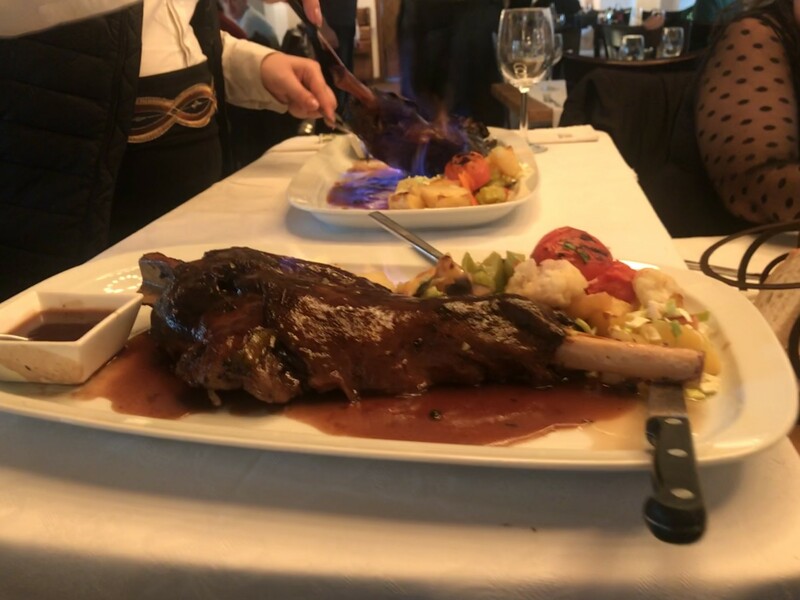 The service is impeccable and very fast; the dishes are delicious and are well presented; waiting times are very short; the staff is extremely friendly; prices are slightly higher than the average in Bucharest. 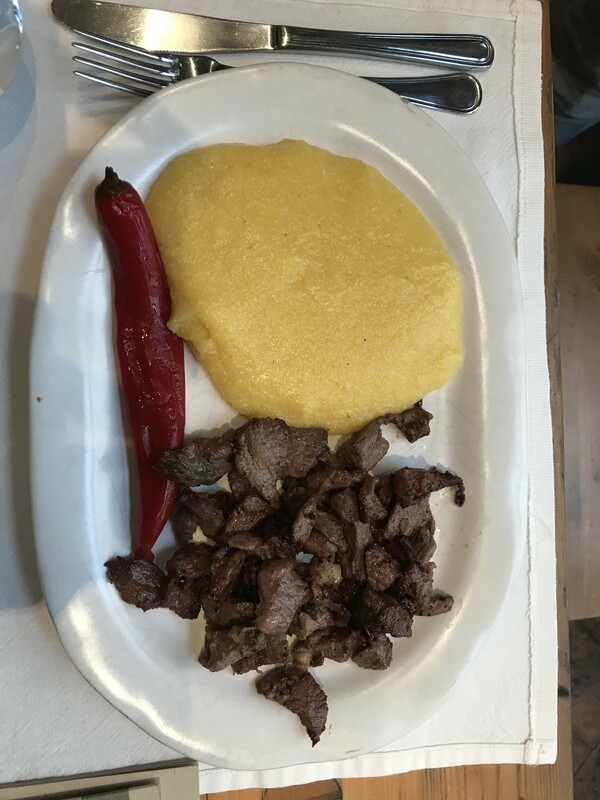 I tasted a porcini soup, mutton with polenta, and a typical Romanian dessert (placinta cu mere). 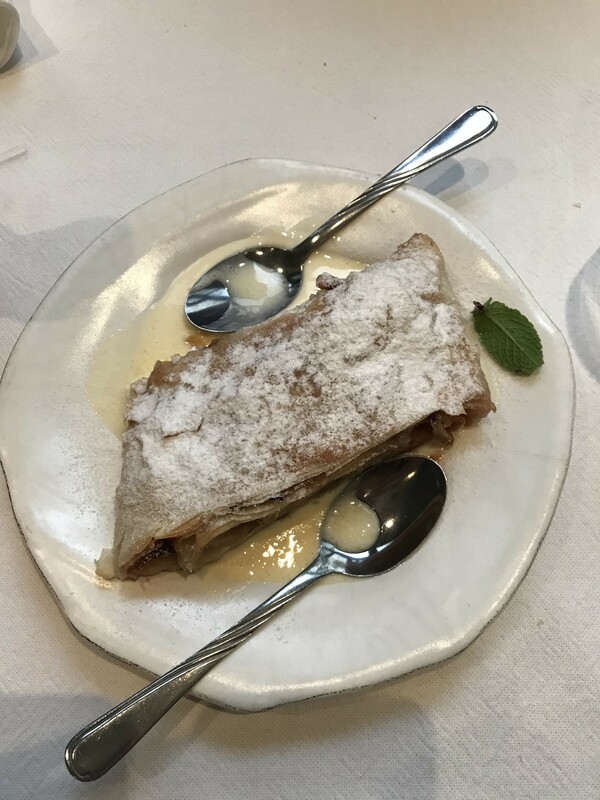 9) In my ranking there must necessarily be a place where you can go for an ice cream or for a dessert. 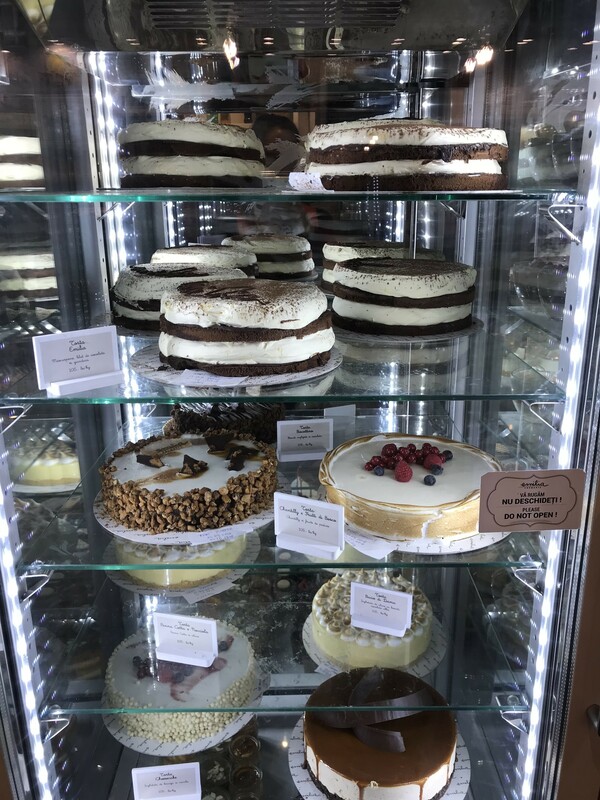 The best place in Bucharest is the: "Cremeria Emilia". I advise you to taste the ice cream cones and the semifreddos in the cup. They are really delightful !!! You will find Cremeria Emilia in the historical center of Bucharest (Lipscani). The opening hours are the following: from Sunday to Thursday, from 11:00 to 22:00, and on Fridays and Saturdays from 11:00 to 23:00. The telephone number, instead, to request information or make reservations, is this: 00400727126996. 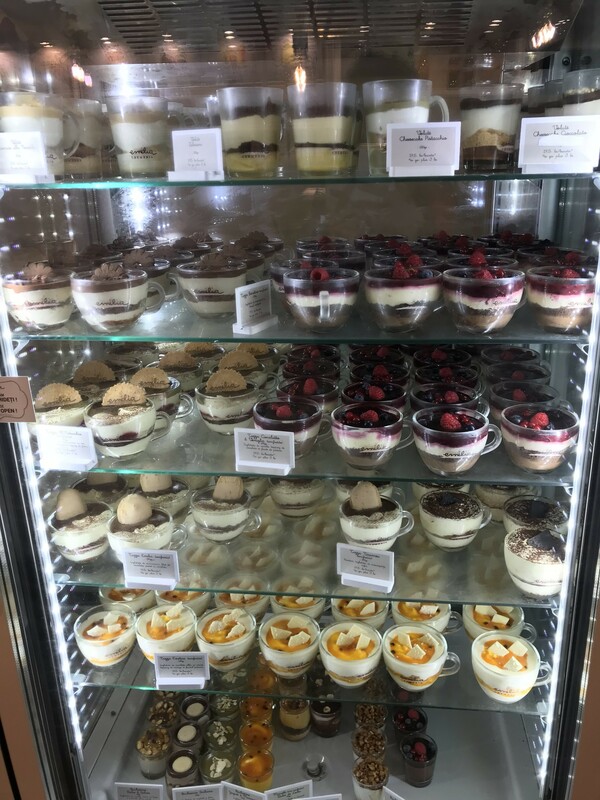 You will find a lot of Cremeria Emilia in Bucharest, for exemple, in the Mall Bulevardul Vasile Milea, at number 4, in the Baneasa Shopping City, and in the Park Lake Mall. 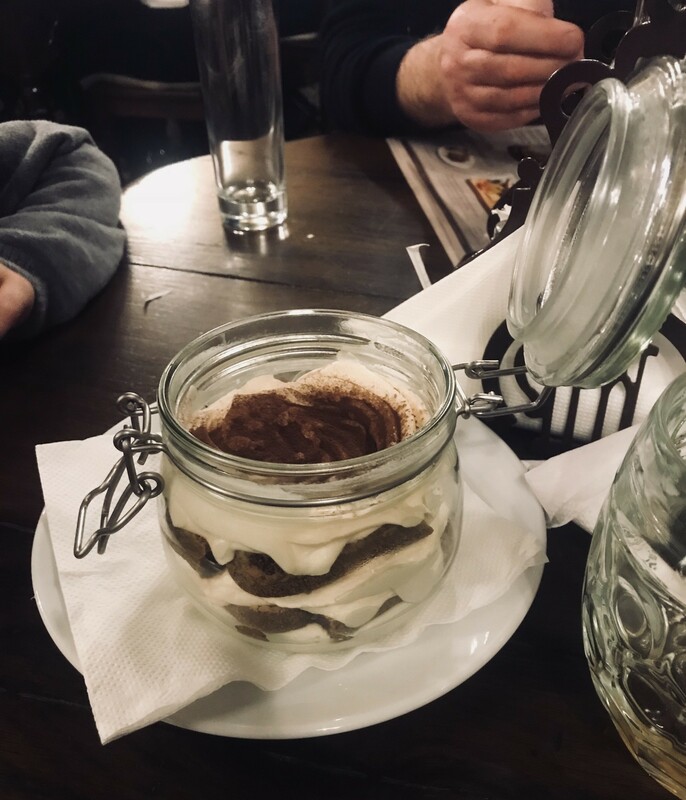 You will find a Cremeria Emilia also in Timisoara, exactly in Strada A. Demetriade, at number 1, and in Cluj-Napoca, exactly in Strada Alexandru Vaida Voevod , at number 53B. 10) And if you want to eat something quickly, spending very little, you can always go to eat to the: "Mc Donald's". You will find a lot of Mc Donald's in Bucharest!!! If you are near the historic center, there is one in Unirii Square. Mc Donald's is convenient and practical. 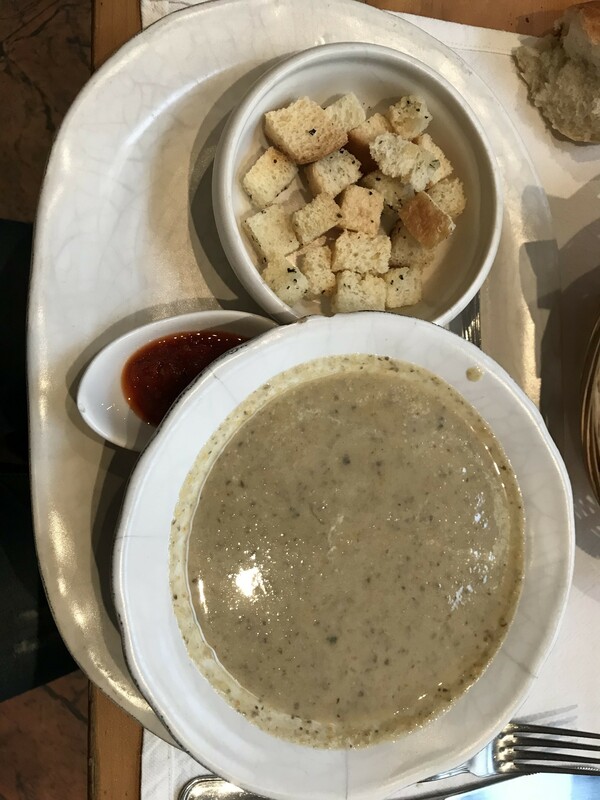 It is an alternative that I use a lot, when I travel, especially if I do not like the typical food. This content has been entered in the Erasmus Travellers Competition and have earned 1415 points. 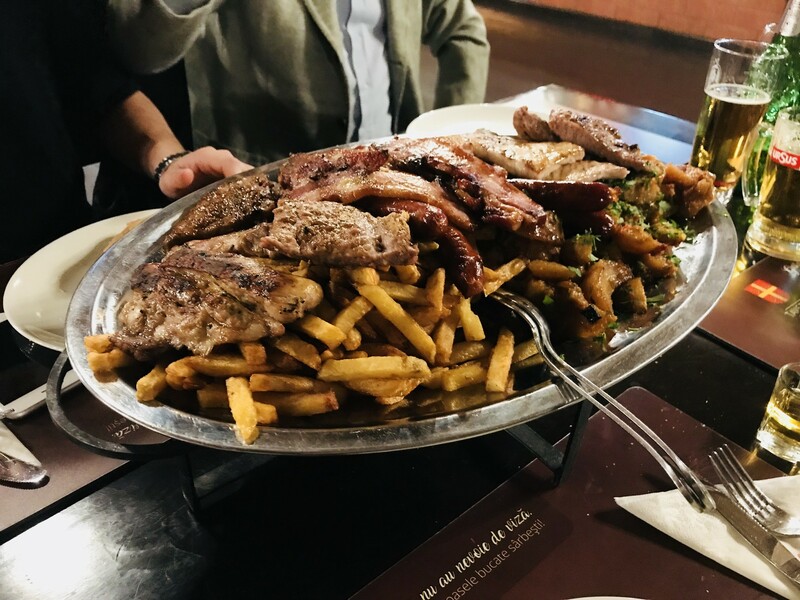 Do you know Where to eat in Bucharest? Share your opinion about this place.